I see lawsuits from governments and crazy people (redundant I know) when people start running into poles, crashing cars, etc. It'll be interesting to see how this tech plays out though. Safer than looking down at your phone my friend. Yeah... "April Fools", right? Sounds nifty, but it feels like a prank. Sounds awesome, I hope we can get rid of batteries soon so that these things get easier to pull off. Honestly even if google pulled it off, they'd be much bulkier, less user friendlier and undoubtably uglier than what we assume they'll be. My other problem is that people walking around with glasses that they don't need look ridiculous. Along with the fact I don't doubt that they'd be shat out before being as ready as they could be. I used to look twice when seeing someone with one of those blackberry things on their ear. I thought they had a medical problem at first, some condition that needed monitoring in this particularly obtrusive way. Reminds me of Wall-E. lol. And in the next few years we will be more like this. While there's some cool technology here, I think the "dork factor" will cause these to be as big a flop as the Segway. Looks awesome if it works as well as the video then Google will have a hit on their hands or at least they deserve to. 1. This HAS to be able to pair with you Android phone. 2. Does it work on it's own? How does it connect to the internet if you're in a no wifi zone without your phone sharing internet? how would putting 3g in them be a bad idea, that would fix the no WiFi problem, wouldn't it? I would like to provide confidential feedback on your project. Where can you be joined ? What about the electromagnetic waves that is going to go through our heads? if you live on earth, you have radio waves going through your head. if you live in a house there is electromagnetic waves, going through your head and body everyday and night. It's interesting that the loss-of-privacy angle isn't even the #1 concern, but industrial design or commercial availability. There is no way I would even consider such a widget, if it were tied directly into proprietary software running at the googleplex. This is obviously "April Fools"!!! why not just let the hardware in the smartphone (CPU, RAM, batteries..) and the glasses will just embeds the motions captures and the display, and make a Bluetooth 4.0 connections between the station (smartphone) and the widget (the glasses) ? like this no harmful wave, no heavy weight, and powerful capabilities! Is this legal???? Accio Distractions!!!!!!!!!!!!!!!!!!!!!! So much for Android smartphones when you can wear distracting glasses. 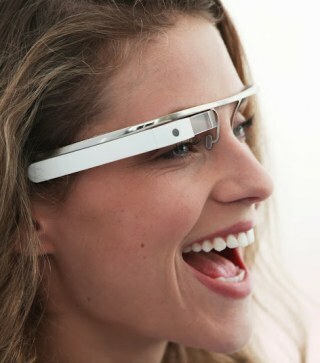 I don't think Google Project Glass will be success in real world. Its really just awesome invention. Idk if this is a cool invention or a scary invention!! If this technology starts to singe out people or if I get popping advertisements or if I get messages from the DHS on this then I am going to throw it away!!! With these glasses no more chance to save the soul - every second will be wasted for everything around you, but it will not be spent for thinking about the GOD and the soul. The humain beings are reaching their way for an eternal spiritual putrefaction by applying new technologies... SOS!!! I Want Too BETA TEST!!!!!! The possibilities about technology seems endless. I mean, this glasses is really a great idea too. If this hits the public market, I have no doubts that this will replace all smartphones today. And I wonder if glasses company would also make this kind of glasses. Fantastic tech that I can't wait to become reality. They Will be ubiquitous come the Singularity. I wonder if this device should be worn over your dominant eye or not, i'm a left-eyer (i think most people are) but how about right-eyers? The glasses aren't here yet and already I can't wait for the myriads of possible implementations of augmented reality. Is it just me, or do these really scare me? Wisdom is good and i like wisdom don't you? Good things makes me fill good when i fill good my soul is at good rest. Google Glass displayed information in a Smartphone-like hands-free format. It’s amazing!